WARNING - THIS RELEASE IS NOT INTENDED TO RUN ON iOS 7. PLEASE READ BEFORE UPDATING. This update (version 2.3) was released inadvertently; we are working on a fix but some customers are reporting problems, including crashes, when using this release on iOS 7.x. 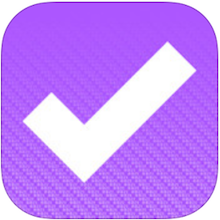 OmniFocus for iPhone 2.3 fixes a problem encountered when running on iOS 8.